8.Blade is made of SKH51 high speed steel with long service life and wear resistance. 9.Cutting speed can be set and conveniently adjusted by turn-knob. 10.Install conveyer belt, pcb board which is cut can be sent out directly, then docking with the next machine and reducing the times of artificial pick and place. 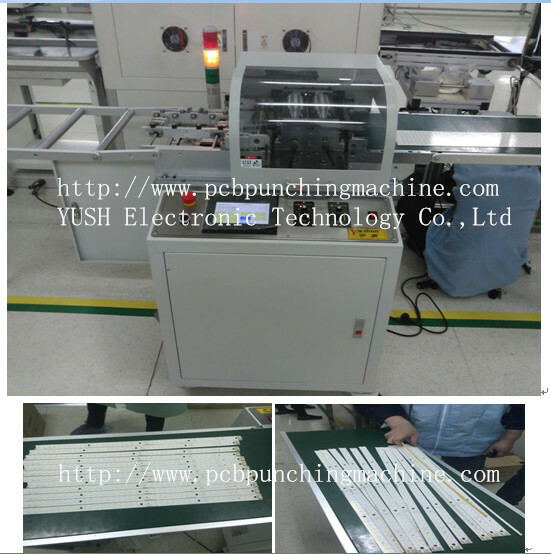 This machine can cut LED panel, fiberboard, aluminum board (more than 400mm ) and special board. 11.With several knives, the machine operates simply and efficiently and is suitable for mass production.